Just how accepted is yoga today in the United States? Writers often try to present yoga’s ubiquity in terms of numbers: tens of thousands of studios, millions of regular practitioners, or billions of dollars in total annual revenue. For most people, yoga has become so commonplace that its presence hardly registers as they encounter yoga classes at their local gym and yoga pants worn as everyday fashion. It would be difficult to imagine yoga practice being unusual or objectionable, let alone being one of the major causes of a national scandal. One hundred years ago, yoga was seen in a very different light: it was not a matter of flexible bodies moving through postures on mats. Yoga was described as “yogi philosophy,” and it was common to talk of hypnotism and yoga interchangeably. Indian-born yoga teachers in the United States during this time were highly mobile and would move from one city to another, giving public lectures and teaching private courses like a mixture of traveling salesmen and Methodist circuit riding preachers. With very few South Asian immigrants in the country, it was easy for the American public to conjure up fantastic ideas about yoga’s power and the itinerant men from India who taught it. 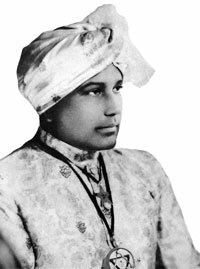 Starting with the first Indian yoga teachers that came to the United States in the late-nineteenth century, there was a steady stream of scandals that followed them and made national news. Building upon the understanding of yoga during this time as mental and magical, these scandals saw yoga teachers as holding an unnatural hypnotic sway over their usually female followers. Broken marriages, suicides, and contested wills were attributed to yoga, which was imagined to be dangerous and capable of driving a person insane. 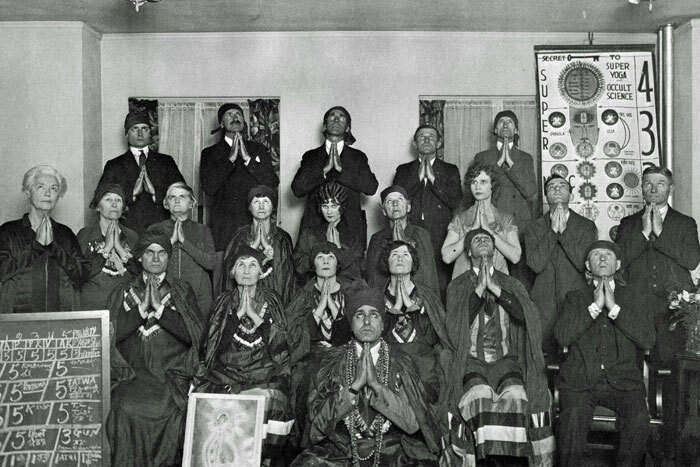 By the 1920s, figures such as Mabel Daggett grouped these incidents together, connected them to fears of South Asian immigration, and imagined a deliberate conspiracy of “swarthy Hindoo priests” launching a “Heathen Invasion” of the United States. 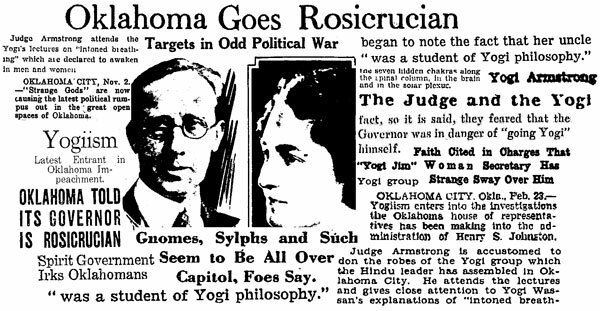 Towards the end of the 1920s, fears of yoga and its teachers reached their apex and were powerful enough upend the state government of Oklahoma and impeach its governor Henry Johnston in a series of massive public scandals. To understand the events that precipitated this scandal, one needs to take a closer look at Governor Johnston and two of his associates: his secretary Mamie Hammonds and her uncle, Judge James Armstrong. Johnston was elected to be a representative to the state’s constitutional convention in 1906, where he was the temporary presiding officer. Johnston was then elected to the first Oklahoma Senate, and after returning to his law practice in Perry, successfully ran for the Governor’s seat in 1926. Two years before he was elected governor, Johnston met Mrs. Oliver “Mamie” Hammonds at a state convention of the Democratic Party. Hammonds helped him on his gubernatorial campaign, and when Johnston was elected she was brought on as his executive clerk. She quickly embellished her role and began to shield Governor Johnston from his political opponents and any matters she determined not to be worth his consideration. In a volatile political climate, Hammonds created the perception that access to the Governor was under her control. Soon, one of the Governor’s own friends in the State Senate demanded that she be dismissed. Johnston did not help matters in his first week as governor when he made the seemingly innocent decision to pave Oklahoma’s highways with asphalt instead of concrete. When his critics discovered that Hammond’s influential uncle, Judge James Armstrong, had a vested financial interest in the material being used, the asphalt took on the stench of corruption. The governor, his secretary and her uncle shared a bond beyond politics. All three of them deeply held their own personal array of esoteric and occult beliefs. Johnston was a serial joiner of fraternal organizations and was a member of the Klu Klux Klan, the Freemasons, and the Rosicrucians, and by his own admission counted Theosophy, New Thought, Unity, and Christian Science among his philosophical affinities. Mamie Hammonds was part of the Kamelia, a women’s adjunct to the Klan, and adhered to other groups by osmosis, through her husband the Freemason and her uncle Armstrong who was a Rosicrucian. Johnston, Hammonds and Armstrong also had shared interests in numerology and astrology. In the summer of 1927 word began to spread about the eclectic beliefs of Governor Johnston and the two members of his inner circle. Hammond’s influence on Johnston was increasingly thought of as the result of hypnotism or some imagined occult power. One paper reported a rumor that Hammonds could send her spirit out through the keyhole of her office door to spy on political opponents. It did not help that Johnston, open about his beliefs in astrology, said that he would sign a bill during a one-hour period in the middle of the night because the zodiac would be more favorable. In September, Aldrich Blake, the secretary of a former Oklahoma governor, wrote a scathing, rumor-filled article for The Nation titled “Oklahoma Goes Rosicrucian.” The piece warned readers that Oklahoma was under a “dictatorship of the spirits,” and the charge that “Strange Gods Rule Oklahoma” was soon reported by newspapers as far away as Florida and Wisconsin. Hatha Yogi.” While much of Yogi Wassan’s repertoire was similar to his peers, he placed a strong emphasis on physical wellness through diet, exercise, and breathing regimens. 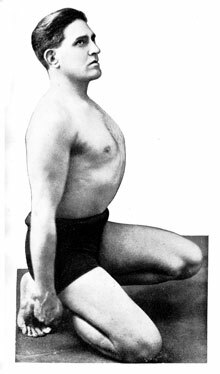 In his public lectures, Yogi Wassan would often perform feats of strength on stage and use his own brawny body as proof of his techniques. Yogi Wassan arrived in Oklahoma City in late-November of 1926, three weeks after the elections that won Henry Johnston the governor’s office. He gave public lectures at the Sorosis social club for women, the New Thought-inspired Unity church, and in the banquet hall of Claussen’s Dinner Bell Cafeteria. As was standard, the free public lectures lead into series of private courses for paying students and individual consultations with the yogi. One of these students was Judge James Armstrong, who claimed to have received great health benefits from practicing the yogic breathing techniques taught by Yogi Wassan. Huckins Hotel in downtown Oklahoma City, and eventually the chaotic efforts to impeach Johnston fell apart. During the crisis, several people told the Governor that he could hold onto his position if he let Hammonds go, but the suggestion only made Johnston more loyal to his secretary. The drama was dubbed “The Ewe Lamb Rebellion” when Johnston described his secretary as a “ewe lamb about to be delivered into the gaping mouths of political wolves.” For the next year, tension between Governor Johnston and the Oklahoma legislature was intense, but remained at a simmering boil until the next year. and in tandem with his lectures and classes, he had also established a series of student-run “Yoga Nawajivan Centers” in several Midwestern cities. 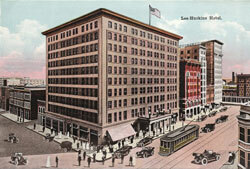 In Oklahoma City, Sukul offered a series of free public lectures over the course of three evenings on such subjects as “The Mystic Path to Realization” and “Scientific Aspects of Yoga Mysteries.” The Daily Oklahoman reported that Johnston was “an interested listener at the Sunday lecture,” which was astonishingly held in the very same hotel that the “Four Horsemen” tried to impeach him in only a few months earlier. The elections held in the fall of 1928 would pull the rug out from under Johnston. Always loyal to a fault, Johnston supported the Democratic presidential candidate Alfred Smith, an anti-Prohibition Catholic, to the outrage of his backers in the temperance movement and Ku Klux Klan. Smith was soundly defeated, and in the wake of the election numerous Republican candidates gained office at all levels. With new reinforcements, the enemies of Governor Johnston set out to finish what they started now that the governor had alienated much of his backing. 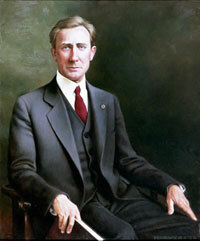 The second impeachment effort against Johnston began nearly as soon as the legislature met in January 1929. Mamie Hammonds resigned from her position as secretary around the same time, but it was far too late to undo the damage that had been done. A series of charges against the Governor were accepted by the Senate centering on his use of the National Guard during the first impeachment attempt, a pardon he issued for a murderer on the suggestion of his official secretary H.E. Sullivan, and the alleged corruption and mismanagement within the Highway Commission. Johnston was suspended from his office and a six-week impeachment trial began in early-February that would eventually fill up over 5,000 pages of transcripts. In the second push for impeachment, old speculation about Johnston and his inner circle leading a “Spirit Government” came back with a vengeance in both the newspapers and the impeachment hearings. Séances were being held in Johnston’s executive mansion, naturally led by the “she-Svengali” herself, Mamie Hammonds. A local astrologer emerged and told the press that he had been regularly consulting with Johnston. A Spiritualist pastor and self-proclaimed “high priestess of the Rosicrucian Order” was also discovered who claimed to have inspired Johnston to run for office after delivering a spirit message from his dead relatives. When the chairman of the impeachment committee questioned H.E. Sullivan, Sullivan not only shifted the responsibility for the controversial pardoning of a murderer onto Judge Armstrong, but also added that he saw Armstrong burn incense in his office, chant, and “rub his nose.” Serious questions were also raised as to whether Armstrong’s bedroom was decorated with “oriental splendor,” leading a local newspaper to investigate the bedroom and publish a photo of it for their readers to examine themselves. Johnston was removed from his position, but stoically defended himself to the public by stating, “I’ve lost the office of governor but I have retained my honor and integrity. I retire with a clear conscience.” Even with Johnston gone, the fervor for impeachment continued without a pause. Impeachment proceedings began immediately for six additional officials, and Oklahoma even sent a state representative to Louisiana to assist in that state’s effort to impeach their governor. Yogi Wassan and Deva Ram Sukul continued to travel and teach undisturbed by the political turmoil their classes in Oklahoma City caused. The impeachment proceedings did nothing to diminish Oklahoma City as a stop on the swami circuit. In the next decade, at least four more traveling yoga teachers would pass through the state’s capital including Bhagwan Singh Gyanee and Yogi Khagen. After his removal from office, Henry Johnston went back home to the town of Perry and continued to practice law until his death in 1965 at the age of ninety-seven. In a strange and ironic interlude, four years after he was ousted from office, Johnston won a seat in the Oklahoma state senate and served for a term alongside many of the same people who vigorously lobbied for his impeachment. Most historians explain the impeachment of Johnston as a particular combination of a governor who was uniquely ill-suited for his role and an imbalanced state government that was uniquely well-suited for instability. During the chaotic first two decades of Oklahoma’s statehood, impeachment charges had been brought against four governors and Johnston was the second head of state to be removed from office. Johnston’s downfall was an embarrassing chapter that most people were happy to put in the past. Not long after, Oklahoma curtailed the power wielded by its domineering legislature and ended the state’s habit of deposing its governors. It would be short-sighted, however, to think of Johnston’s impeachment as just a matter of vicious politics. More than anything else, there was an acute focus on the “Oriental” elements that surrounded the governor and his inner circle, even from those who recognized the entire impeachment as a farce. The media speculated endlessly on rumors of chanting, incense smoke, swamis, and yogis, and it is difficult to not see those same rumors in the single vague charge that removed Johnston from office. The same loss of reason and self-determination imagined in previous yoga scandals was applied to Johnson, Armstrong, and Hammonds. Not just mere eccentrics, they were imagined to be inept and helplessly following the commands of a mystic philosophy, Yogi Wassan, or the nebulous “Strange Gods” that “ruled Oklahoma.” Unlike earlier scandals which diagnosed yoga as the cause of someone’s downfall in hindsight, the connection to yoga was able to take an active role in the collapse of Johnston and his inner circle. Johnston‘s impeachment can be seen as perhaps the most significant of the scores of yoga-related scandals in the first decades of the twentieth century, one that effectively removed a sitting governor from office. There is another lesson that can be taken away. In September 1928, in-between the first and second attempts to impeach Governor Johnston in Oklahoma, Massachusetts Governor Alvan T. Fuller warmly received Yogananda at the State House. Their meeting was reported in several Boston newspapers along with a photo of the two men, but there was no call for impeachment and no fears of that Massachusetts had “gone yogi.” In less than two years, Judge Armstrong studied with Yogi Wassan, Governor Johnston attended a lecture by Deva Ram Sukul, and Governor Fuller met with Yogananda. Beyond speculating on the difference between Oklahoma and Massachusetts or the mercurial nature of scandal, we are left wondering just how many politicians and yogis knew one another during this period. While newspapers of the time liked to portray the average yoga student as a gullible, middle-class housewife, a close look at who was attending their classes and lectures reveal a disproportionate number of men and women who were doctors, lawyers, and professionals. It was also common for yoga teachers from India to have familiarity with some of the most famous and powerful people in the country. As just one example, Deva Ram Sukul was the respective healer, correspondent, and teacher to the actress Mae West, Conrad Hilton (the founder of the Hilton Hotels chain), and the wife of Igor Sikorsky (designer of the modern helicopter). Theodore Fieldbrave, an Indian-born Baptist missionary who immigrated to the United States, told readers in a 1934 article that the East Indian population in the United States could be divided into four main categories. The first three categories are familiar: farmers, students, and skilled workers or merchants. The fourth category is startling: “The Hindu Swamis and Yogis” that Fieldbrave underestimated at “about 25 or 30.” Astonishingly, this would mean that roughly one-percent of all South Asian immigrants made a living as a yogi or swami. Today, a comparable percentage of Americans make their living by farming. The South Asian immigrants who traveled across the country lecturing and teaching on yoga not only comprise a fascinating and important lost chapter in the history of yoga in the United States, but as liminal figures who defied stereotypes as they made a living off of them, they are a unique and important lens through which to view early South Asian American history.